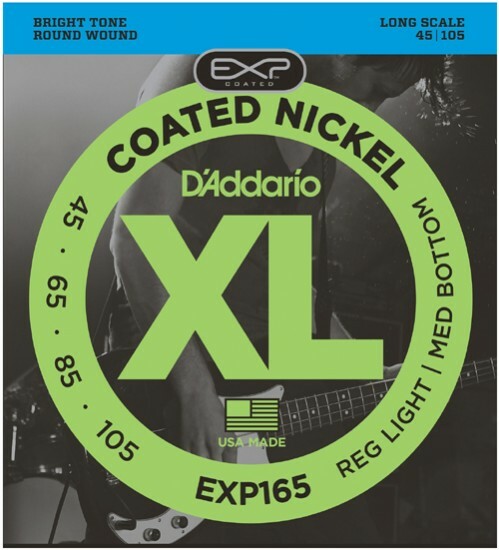 These bass strings are a coated version of D'Addario’s popoular XL 165 strings. The groundbreaking D'Addario process draws wire from rod, anneals, cleans, coats, cures and spools in one continuous process, ensuring adherence to extremely tight tolerances. They offer the ideal combination of booming tone and light, comfortable feel with four times more string life. Fits long scale basses with a string scale length of up to 36 1/4 inches.